ORANGE COUNTY, Calif. ‒ Dedicated supporters of the American University of Armenia (AUA) gathered to promote the 100 Pillars of AUA campaign in an event hosted by Dr. Kris Mirzayan and Mrs. Pamela Ascher Mirzayan on Saturday, August 10, at Zov’s Bistro in Orange County, California. Founded in 1991, the American University of Armenia (AUA) is a private, independent university located in Yerevan, Armenia and affiliated with the University of California. 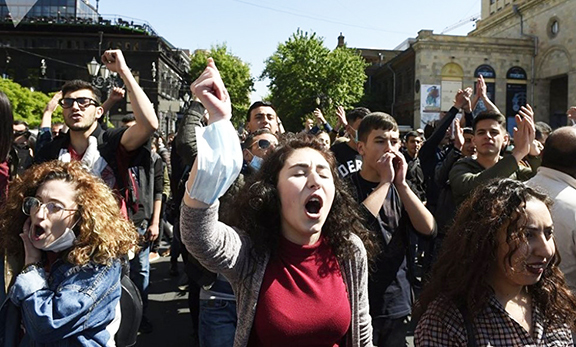 AUA provides a global education in Armenia and the region, offering high-quality, graduate and undergraduate studies, encouraging civic engagement, and promoting public service and democratic values. For more information about the American University of Armenia and its donor opportunities, please visit www.aua.am.